QPQ is an abbreviation of quench-polish-quench. Refers to the black metal parts into two different properties of the salt bath, through a variety of elements into the metal surface to form a composite infiltration layer, so as to achieve the purpose of parts surface modification. It did not undergo quenching, but reached the effect of surface quenching, so it is called QPQ at home and abroad. The latest improvement is called photonitriding. Compared with QPQ, this process has the advantages of complete non-deformation, higher hardness, deeper depth, high efficiency, no polishing, high nitriding accuracy, non-standard and large parts. Salt bath composite treatment: the technology will heat treatment and anti-corrosion treatment completed at a time, low temperature, short time, can improve the surface hardness of parts, wear resistance and corrosion resistance, reduce friction coefficient, small deformation, no pollution. With the advantages of optimizing processing procedure, shortening production cycle and reducing production cost, it has been recognized and praised by many manufacturers. Some famous multinational companies, such as GE, GM, Volkswagen, mercedes-benz, Toyota and Honda, have adopted them in large quantities. Salt bath composite treatment technology is a combination of heat treatment technology and anti-corrosion technology, in terms of performance it is a combination of high wear resistance and high corrosion resistance, in the layer is composed of a variety of compound composite layer. Therefore, foreign countries consider this is a great progress in the field of metal surface strengthening technology, and call it a new metallurgical method. High speed steel cutters: various HSS drill bits, milling cutters, broach cutters and gear cutters can increase the service life by 1~4 times, especially for hard working materials. The process can greatly improve the surface hardness and wear resistance of various ferrous metal parts and reduce the friction coefficient. After QPQ treatment, the wear resistance of the product is 16 times higher than that of conventional quenching and high-frequency quenching, 9 times higher than that of carburizing and quenching of 20# steel, and 2 times higher than that of hard chromium plating and ionic nitriding. The fatigue test shows that the process can increase the fatigue strength of medium carbon steel by more than 40%. This technology is especially suitable for complicated parts, which can solve the problem of deformation easily. Of several different materials, different processing of samples in the same test conditions, according to standard ASTMBll7 conducted for spray test, salt spray test temperature 35 + 2 ℃, relative humidity > 95%, 5% NaCL aqueous solution spray. The test results show that the corrosion resistance of parts treated by QPQ is 5 times that of 1Crl8Ni9Ti stainless steel, 70 times that of hard chromium plating, and 280 times that of blackening. The workpiece has almost no deformation after QPQ treatment, which can effectively solve the problem of hardening and deformation that is difficult to be solved by conventional heat treatment. For example, after QPQ treatment, the surface hardness of 2Cr13 stainless steel sheet with a size of 510 460 1.5mm is greater than HRC60 and the roughness is less than 0.5mm. At present, QPQ technology has been successfully applied in many shaft parts and slender bars, effectively solving the existing contradiction between heat treatment hardening and product deformation. The workpiece after QPQ treatment, on the basis of improving its hardness and wear resistance, improve its corrosion resistance, and form a black, beautiful appearance, can replace the conventional quenching and tempering and blackening (chrome plating) and other processes, shorten the production cycle, reduce production costs. A large number of production data show that compared with carburizing and quenching, QPQ treatment can save 50% of energy and 30% of cost compared with hard chromium plating, with high cost performance. The QPQ treatment process has been tested and identified by the relevant environmental protection departments, and proved by the actual use of users across the country that the emissions of all kinds of harmful substances are lower than the allowable value of the national emission standards. Due to advanced technology, stable quality, QPQ technology application of hundreds of products, has set up a number of production lines around the country. 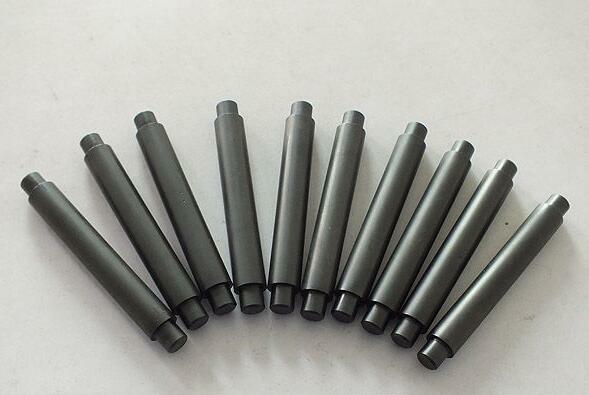 The process is suitable for all ferrous metal materials, from pure iron, low carbon steel, structural steel, tool steel to all kinds of high alloy steel, stainless steel, cast iron and iron based powder metallurgy parts.